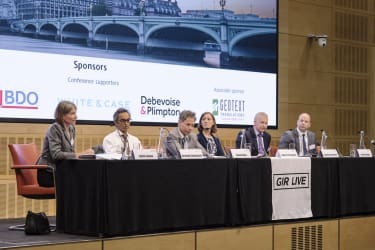 Panellists at GIR Live London said there is no rationale for extending corporate criminal liability to all economic offences. In a session chaired by Judith Seddon at Clifford Chance, Jonathan Pickworth at White & Case said the UK's plans to expand corporate criminal liability to white-collar crimes such as money laundering and fraud are unnecessary and unwarranted. Pickworth made the comments on the same day that the new offence of failing to prevent the facilitation of tax evasion, part of the Criminal Finances Act, became law. The Act, which was introduced to the UK Parliament in October 2016, is expected to come into force in September. The offence is modelled on the UK Bribery Act. Companies will be held criminally liable for failing to prevent the facilitation of tax evasion by "associated persons", which can include agents, employees or subcontractors, unless they can prove "reasonable procedures" were in place to prevent the misconduct occurring. The UK government is currently considering how to extend corporate criminal liability to money laundering, fraud and false accounting offences. Pickworth said that bribery and corruption offences were different to other corporate offences because the companies themselves directly benefit from the misconduct, rather than individual employees or clients. "Therefore there had to be ways of making the company itself pay for the actions of individual," Pickworth said. "But I don't think the same can be said for money laundering or other aspects of financial crimes." Panellist Karolos Seeger at Debevoise & Plimpton said that while it makes sense to impose liability on companies for failing to prevent employees or third parties from engaging in a specific act, such as bribery or tax evasion, other financial crimes are more complicated. "For example, what would a general prohibition on failure to prevent fraud actually mean in a practice?" Seeger said. "It's the same as making it an offence for failing to prevent your employees from acting unlawfully and it doesn't really get you anywhere." Judith Seddon said that there are already financial crime laws that enable companies to be held liable for financial crimes other than bribery, but that such laws are seldom or never used by prosecutors. As an example, Seddon said that certain provisions in the Money Laundering Regulations 2007, which impose corporate criminal liability on companies for specific compliance failings, have never been used. "There is a case for considering what legislation does exist before extending corporate criminal liability to all financial crimes," she said. The UK Serious Fraud Office has previously said that an extension would make it easier for prosecutors to hold a company liable for such offences. Currently, prosecutors must prove corporate criminal liability under the identification principle, which attributes criminal liability to a corporation only through the actions of its "controlling minds". 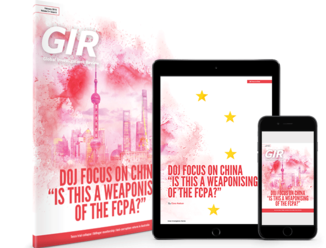 David Corker at Corker Binning said that there is a case for extending corporate criminal liability to other financial crimes because the identification principle has most effect on smaller companies with one or two directors, rather than multinationals. "When you come to a large company with divisions where responsibility is shared and diffuse, to find the directing mind - a senior individual - becomes almost impossible and so the principle is least effective in situations where it should be the most effective," Corker said. Extending corporate criminal liability to all other economic crimes would therefore ensure such large companies are held to account, Corker said. GIR Live London was held on 27 April at the offices of Allen & Overy.